This is a real treat, you guys! 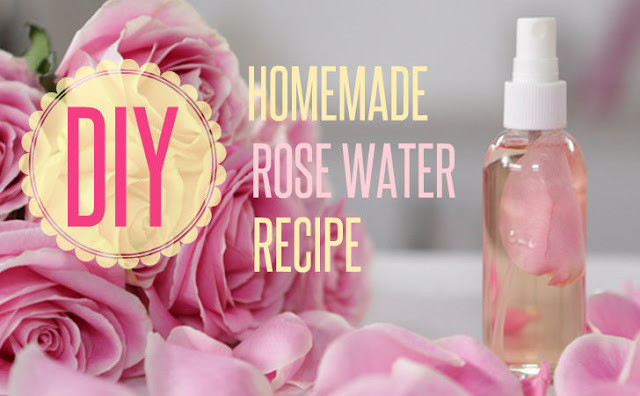 Rose water is so amazing and so versatile that I just had to share. Instead of paying an arm and a leg for a small bottle of rose water, you can make your own in the same amount of time it takes to brew a cup of tea (added bonus: rose tea is actually a thing and we should all be drinking it right now). Anyway, before you drink all of this rose water down, try adding it to your skin care routine as a toner, or into your bath water as a relaxing, soothing, and intoxicating spa experience. The possibilities are endless! That’s it! Super easy! You can store your rose water for up to a week on your counter top, and for up to two weeks in the fridge. This is a great addition to our DIY Spring/Summer Face Mists and don’t forget to add it to your purse essentials kit!